Are you looking for research funds to implement your research idea? Please visit the Intranet for further information (in German). 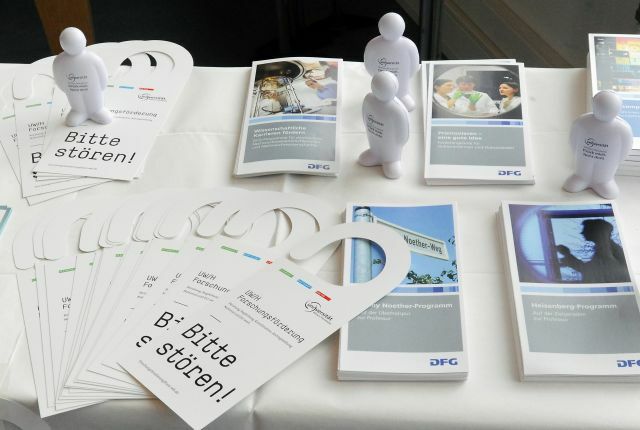 Do you need support in submitting your research project application to the Federal Government Bund-BMBF, the EU, the German Research Foundation DFG, a federal state or various foundations? If you are a junior researcher and plan to pursue your academic career in research, there are several options available: You may apply for research grants, submit an application for a research project or arrange for a research stay abroad. The UW/H Research Funding team is available to answer all your questions. The UW/H Research Funding Newsletter pools information on all cross-faculty (health, management and economics, humanities and arts) and interesting calls from different funding institutions. UW/H researchers are successful in raising funds for research projects from different well-known funding institutions such as the German Research Foundation DFG, the Federal Government (Bund), the EU, federal states and foundations. For further information, please contact UW/H Research Funding. Are you planning to submit a research project to a national sponsor? We, the team of UW/H Research Funding, are happy to advise you on research funding programmes of the Federal Government (Bund), des Federal State, German Research Foundation DFG and other relevant funding institutions. We provide support during the entire application procedure, from the idea to the submission of the application. Are you planning to start cooperation with industry partners? Research Funding will support you from budget calculation to contract negotiations and conclusion of the contract. Please visit the Intranet for further information and relevant documents (in German). Our UW/H Research Funding team provides support in all pertinent matters from your research idea to the submission of your application. Please click the link below for detailed contact information. 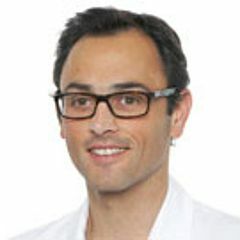 While as a clinical researcher I was concentrating on subject-specific project contents, UW/H Research Funding accomplished relevant tasks concerning the submission of the application for successful third-party funding. Despite working at a different location, I could absolutely count on their research management and expertise: Research Funding clarified the basic conditions, met the funding institution’s formal requirements and paid attention to economic aspects. This three-year research project can be implemented by means of third-party funds amounting to half a million euros, provided by the Witten family business Dr. Ausbüttel. The management of the funds was supported by UW/H Research Funding. 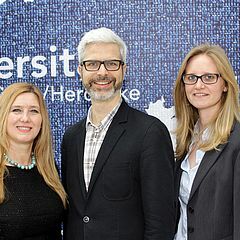 For us, the representatives of science-promoting foundations, it was also an important experience to get into direct contact with Witten/Herdecke University. Continuing such information events will surely be of mutual benefit and lead to a better understanding. By staying in touch with the business community, Witten/Herdecke University ensures that students get into contact with practice. Klarita Nestler: ‘Concurrently, the business community quite often recruits its future professionals this way’. 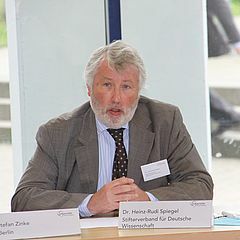 “Pooling research funds”: A conference on how UW/H and regional enterprises may collaborate more closely in the future. With its 'Horizon 2020' programme, the EU has started an ambitious initiative and provides about 80 billion euros for promoting research and innovation until 2020. 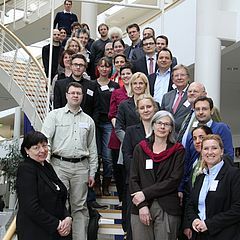 Guests of the information event included not only UW/H scientists but also all interested researchers of the region. 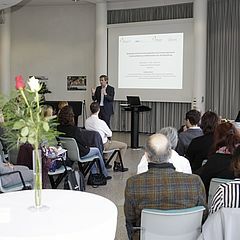 During the national and EU research funding information event with speakers from contact centres of the German Federal Ministry of Education and Research, the invited speakers illustrated application and funding options in interdisciplinary areas and in the fields of health, social and economic sciences as well as humanities and arts. Klarita Nestler came to Witten/Herdecke University from the international office of the Federal Ministry of Education and Research, Bonn. In a number of previous positions (COST/Brussels, KOWI, Association for the Promotion of Science and Humanities in Germany, GTZ, BMZ and ZENIT GmbH), she acquired a solid basis of experience and know-how in research funding both on the national and EU level. 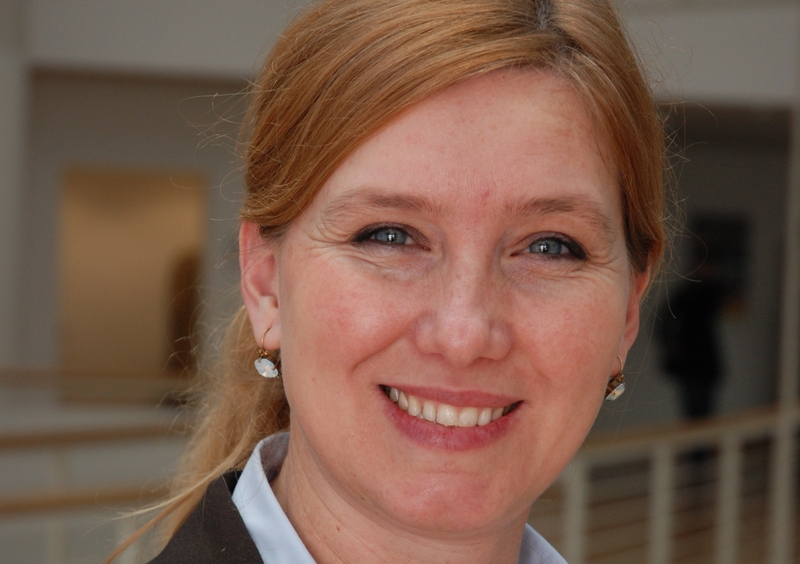 She qualified as EU Funding Advisor at the University of Administration Sciences Speyer (Germany) in 2013. She works as an expert in the field of research funding on the national and EU level. Shaping modern science and research management is one of her aims. She pursues and promotes this aim by participating in steering committees in North Rhine-Westphalia, in EU projects as well as in research networks and working groups.